A team of NASA engineers has demonstrated fully autonomous X-ray navigation in space - a capability that can allow them to pilot robotic spacecrafts to the far reaches of the solar system and beyond. The demonstration, which the team carried out with an experiment called Station Explorer for X-ray Timing and Navigation Technology (SEXTANT), showed that millisecond pulsars could be used to accurately determine the location of an object moving at thousands of miles per hour in space - similar to how the GPS, provides positioning, navigation, and timing services to users on Earth with its constellation of 24 operating satellites. 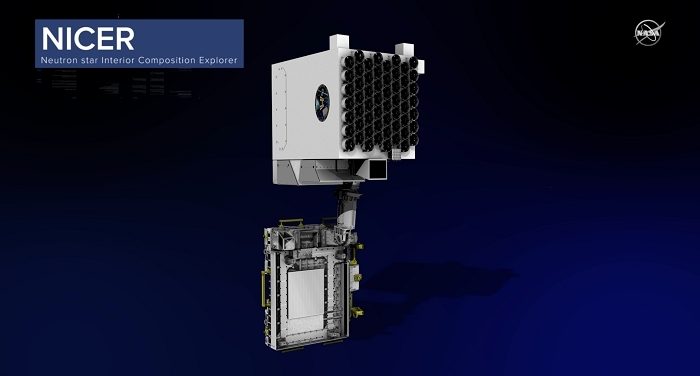 As the first organization to demonstrate X-ray navigation fully autonomously and in real-time in space, NASA is now leading the way to deep space exploration. 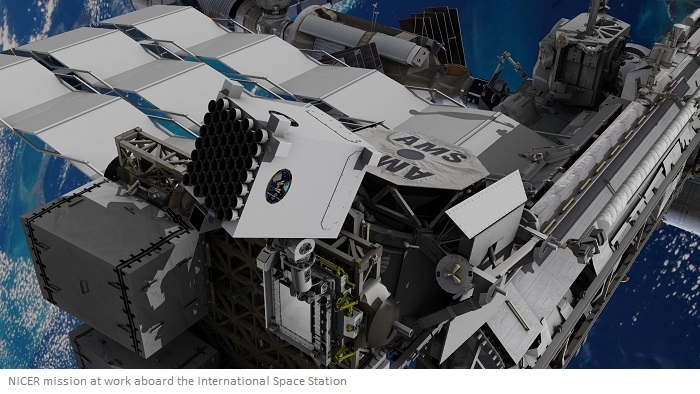 This technology provides a new option for deep space navigation that could work in concert with existing spacecraft-based radio and optical systems. The SEXTANT technology demonstration, which NASA’s Space Technology Mission Directorate had funded under its Game Changing Development Program, took advantage of the 52 X-ray telescopes and silicon-drift detectors that make up NASA’s Neutron-star Interior Composition Explorer (NICER). Since its successful deployment as an external attached payload on the International Space Station in June, it has trained its optics on some of the most unusual objects in the universe. NICER, an observatory about the size of a washing machine, is currently studying neutron stars and their rapidly pulsating cohort, called pulsars. Although these stellar oddities emit radiation across the electromagnetic spectrum, observing in the X-ray band offers the greatest insights into these unusual, incredibly dense celestial objects, which, if compressed any further, would collapse completely into black holes. Just one teaspoonful of neutron star matter would weigh a billion tons on Earth. In the SEXTANT demonstration that occurred over the Veteran’s Day holiday in 2017, the SEXTANT team selected four millisecond pulsar targets - J0218+4232, B1821-24, J0030+0451, and J0437-4715 - and directed NICER to orient itself so it could detect X-rays within their sweeping beams of light. The millisecond pulsars used by SEXTANT are so stable that their pulse arrival times can be predicted to accuracies of microseconds for years into the future. This was much faster than the two weeks that were allotted for the experiment. Researchers had indications that the system would work, but the weekend experiment finally demonstrated the system’s ability to work autonomously. Although the ubiquitously used GPS system is accurate to within a few feet for Earth-bound users, this level of accuracy is not necessary when navigating to the far reaches of the solar system where distances between objects measure in the millions of miles. In deep space, researchers hope to reach accuracies in the hundreds of feet. Now that the team has demonstrated the system, the team will focus on updating and fine-tuning both flight and ground software in preparation for a second experiment later in 2018. 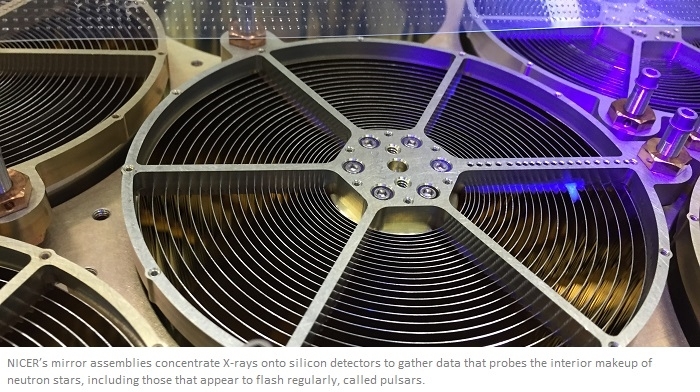 The ultimate goal, which may take years to realize, would be to develop detectors and other hardware to make pulsar-based navigation readily available on future spacecraft. 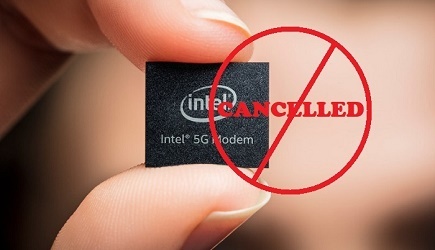 To advance the technology for operational use, teams will focus on reducing the size, weight, and power requirements and improving the sensitivity of the instruments. The SEXTANT team now also is discussing the possible application of X-ray navigation to support human spaceflight. If an interplanetary mission to the moons of Jupiter or Saturn were equipped with such a navigational device, for example, it would be able to calculate its location autonomously, for long periods of time without communicating with Earth. Researchers said that GPS is not an option for these far-flung missions because its signal weakens quickly as one travels beyond the GPS satellite network around Earth. NICER is an Astrophysics Mission of Opportunity within NASA's Explorers program, which provides frequent flight opportunities for world-class scientific investigations from space utilizing innovative, streamlined and efficient management approaches within the heliophysics and astrophysics science areas. NASA's Space Technology Mission Directorate funds the SEXTANT component of the mission through its Game Changing Development Program.